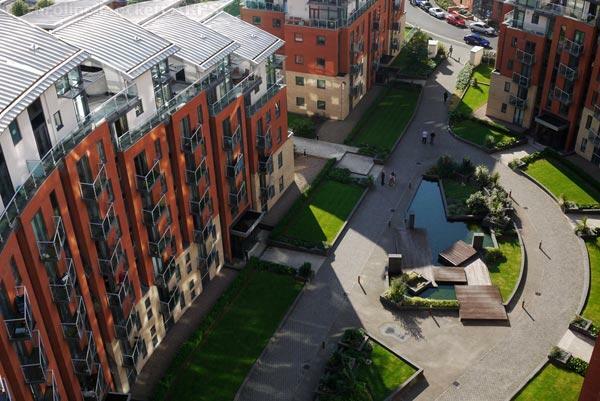 The City Island is one of the most exciting developments in Leeds and it is not difficult to see why. It is home to a superb selection of contemporary waterside apartment blocks in a variety of different styles; and one of these is Catalina. The staggered cream and terracotta cladding of Catalina makes it immediately appealing. This is an ultra-modern apartment block that is very proud of its looks and quite rightly so. First impressions are always important and Catalina certainly gets off on the right foot City Island s Catalina has just over four hundred top quality apartments; one bedroomed two bedroomed penthouses and duplexes. These all provide some amazing views over the surrounding area.